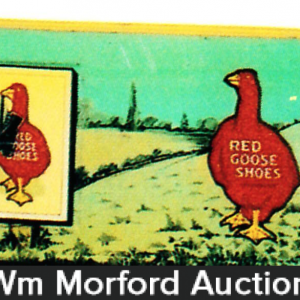 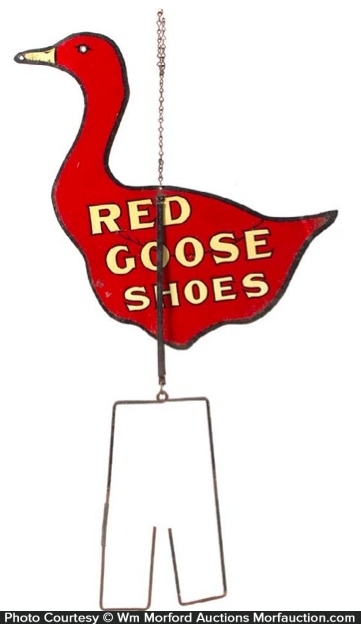 Early, die-cut, heavy tin litho chain hung advertising string holder for Red Goose brand shoes, featuring great image of Co.’s trademark goose. 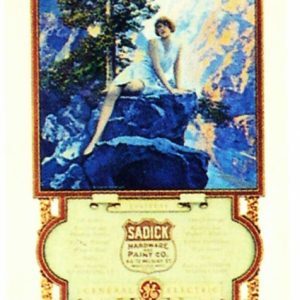 SKU: 68-96. 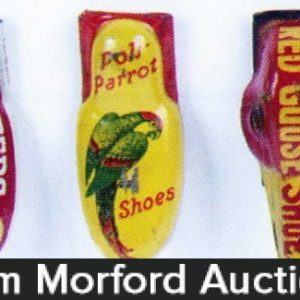 Category: Store Displays. 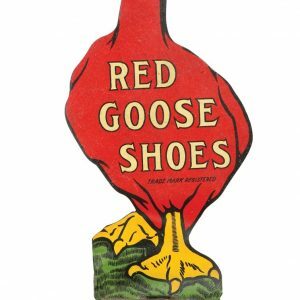 Company/Brand: Red Goose Shoes. 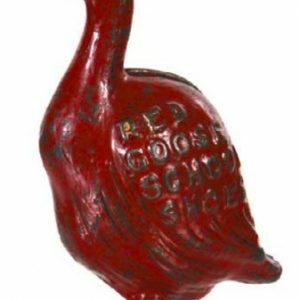 Red Goose Shoes String Holder: Early, die-cut, heavy tin litho chain hung advertising string holder for Red Goose brand shoes, featuring great image of Co.’s trademark goose. 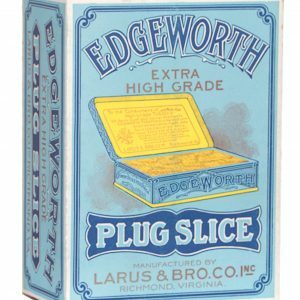 Has bright color and displays very nicely (displays as a strong C. 8), w/ some non-offensive light scattered oxidized speckling and wear (critical grade C. 7.5++). 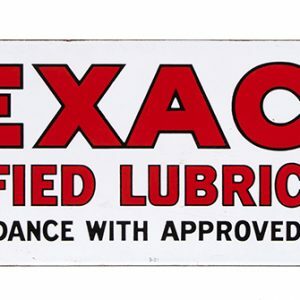 As found, might even improve w/ cleaning.